If you are a just starting to learn Mandarin chinese language for whatever reason, you need to first understand how your brain works with learning languages and how you can make the daunting task of learning “the most difficult language in the world” as easy as possible. First I have to appologize for scaring you. Mandarin Chinese is not the most difficult language in the world, but somehow many people see this language very hard. I did once too, but as soon as I got over the basic stuff, it got easier and easier. Yet, I hear many people complaining that they can’t really get over the basics in Mandarin and that is very frustrating. 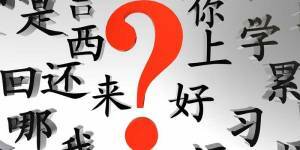 Also I recommend you to read my other article about Is Mandarin Chinese Easy or Hard to Learn…??? So I have decided to help out all of you with some advice that helped me to not get stuck on some challenging word, grammar, sentence or pattern. It’s normal that anytime you are going to start learning new language, you will be surrounded by thousands of new words, grammar rules, pronunciation guides and whole lot more. This will really be scarry experience. When you first open any Mandarin Chinese books, you will certainly be overwhelmed by the huge number of words that does not even make sence to you…. How are you going to remember all of these things? How are you going to put the words together without even having enough time for preparation? How are you going to create natural sounding combination of these sounds and gramatical patterns to have a normal fluent conversation? But do not worry. There is a way that you can easily take any large scale task and break it down to smaller pieces. You just need to organize your time a bit better. Even if you do study for 5 minutes every day, it will slowly add up over a month and soon you can spend more and more time studying Mandarin Chinese without feeling exhausted. 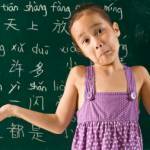 Great… let’s get over some ideas that will make you think very differently about learning Mandarin Chinese language. 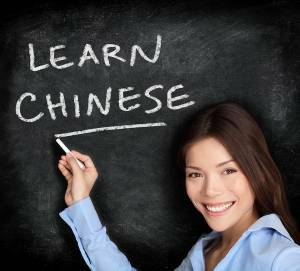 You do not need to learn thousands of words and phrases at once in order to communicate in Mandarin language. In fact, it would be very much impossible to do, so why even thinking about it. Even mastering couple words and phrases will do the job and you will find yourself communicating in Chinese. If you focus on the communication aspect of learning and completely leave out the idea of studying a new foreign language, you will start speaking Mandarin fluently much faster and the whole process will be much easier. Maybe you are one of those people who also think that children are much better at learning languages and that you are too old to learn new language, especially Chinese. But children actually work very hard to master a language. You were child once too, you had no concept about language, just you have heard all these crazy sounds all over the place. That need of understanding what’s going on got you spealing your native language fluently. Now, you already learn a language to communicate – your native language. And you can do it again and again and again. As many times as you wish. Well, my native language is actually Czech. At school I learned German and when I was 20, I moved to New York and had to learn English. Within 3 months of living in New York I was able to communicate about anything I was interested in. All without going to school or without learning from a language book. When I started learning Mandarin Chinese 8 months ago, I wanted to do it again the same way. I never wanted to know how the language works. I only want to be able to say what is on my mind. And for this I have discovered that I need only do one thing — master words and use them as a tools to do a job… job for communication. When you listen kids talking, they never think about grammar. All they do is to say words. More words they know, more they experience with them and usually as a parent, you would correct any sentences or words out loud. Later, these little kids learn the gramatical patterns on their own. Actually, later when they go to school to learn about their native language, they are fluent in speech already! You see, if you are trying to learn from a Mandarin Chinese for beginners books (which is really possible, if you know how to study from a books) and are stuck in grammar, you are wasting your time. Because you need to start focusing on learning how to say things. So, learn how to be a kid again. I put together some tips that I observed that have worked for me to learn English and now Mandarin Chinese. These are the same things kids are doing, but we — adults can do it much better since we have already done it once when mastering our native language. I even remember when I started first, I tried to say the words in Chinese to a native speaker and everytime I sais a word, they were like – “I do not know the word” – and that kept me going and trying to get them to say it couple times for me, so I can practice. The same like a small kid. He hears a sound of a word, but when tries to say it, it does not sound right yet. But that kid practice the word so many times… in his mind, out loud, with different tones… simple that kid experiences with the sound of the word and will keep at it untill you say to him – “That’s it! That was perfect!” And based on your happy face, the kid will know that this time he got it right! I suggest you to have a native speaker to correct you on the sounds the way parent correct their child. This is the most important stage of the journey to become fluent it Mandarin. 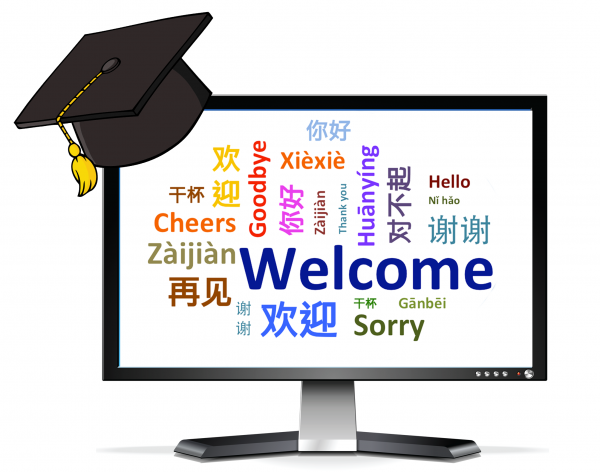 My top choice is iTalki – website where you can find native Chinese language partners and also a professional teacher for learning advanced patterns later (the same way teacher will teach your child at school). As soon as you will master the Mandarin Chinese pronunciation, you are ready to connect words you already know and create simple sentences. Also, you can write down couple basic phrases in your native language and have a Mandarin Chinese teacher to help you translate it correctly to Chinese. In these sentences, you will start noticing some simple grammatical patterns that will soon become automated and you will not need to think about how to use them, but it will come naturally to you. …will give you some sence of of the language works and it will be great foundation for you to build on. HEARING — when you start realising what everything you can hear, you will get plenty important words that you need to learn first. So write down all what you can hear and than have your Mandarin teacher helping you to memorize those words and create simple sentences with those words in Chinese. SMELL — now do the same thing with this base word. What you can smell??? Write down ideas that come to you mind when thinking about smelling something. TASTE — also very great sentences and words can be learned by imagining sense of taste. The words here can describe anything about food and flavor. SIGHT — here you will come up with a lots of new words everyday. Since there are so many things around us, that you will never run out of new words to learn. So you should write down things you see every day. Now try to come up with your own ideas when you think about these 5 senses and learn to create simple short sentences to master these new words and expression perfectly. As I study Mandarin Chinese I have noticed that many things can be said by very small amounts of verbs. Actually, I was kinda surpriced that in about 20 minutes I wrote around 100 verbs that I could think of, which I am using on a daily basis. I really suggest you to take a pen and paper and write down all the verbs that you use often during your day. These phrases should be the ones you will use every day. Most of the time they will help you to communicate…. Ways of saying Thank You, Thanks. So here are some really basic things that every Mandarin Chinese beginner should start with. Forget about the latest Mandarin Chinese for Beginners books and start with these “core words and phrases” that you will try to automatize and use them fluently. With all the above examples, you will probably come up with 150 – 300 basic words and expressions, which you can easily master within the first 3 months. To compare this to a child, it takes him around 3 years to develop to this stage. So that is what I meant at the beginning of this article, when I said that as an adult you can learn any language better than kids, because you have already learned one language and now you will repeat the process again. But your brain is a language machine, it will absorb it without any problems. But, you need to say these core words and sentences one by one, over and over, thousands of times in order to develop true fluency. So even if you do 5 or 10 words (phrases) per day, there is no doubt in my mind that you can’t say it fluently in 3 months. Again, I would suggest these first three months doing this with a native Mandarin speaker, who can help you out translating your words and phrases correctly and also he or she will make sure you pronounce it correctly! You will soon realize that a few words learned and practiced every day will make a huge difference in your ability to use the Mandarin Chinese language fluently very quickly.